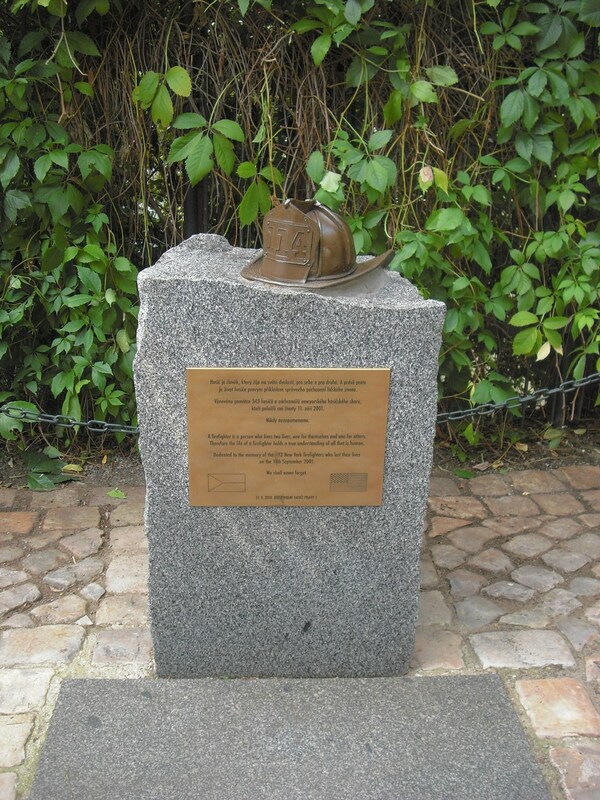 Description: Stone mounted with plaque metal plaque and firefighter hat casting commemorates the 343 firefighters who died in the 9/11 attack on New York. je život hasiče pravým příkladem správného pochopení lidského života. 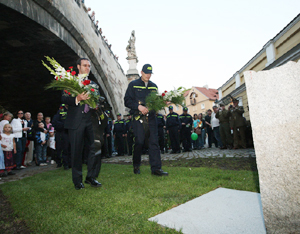 kteří položili své životy 11. září 2001. A firefighter is a person who lives two lives, one for themselves and one for others. Therefore the life of a firefighter holds a true understanding of all that is human. on the 11th September 2001.